When a police officer is found shot dead in his car, DC Maeve Kerrigan and DI Josh Derwent take on the investigation. But nothing about the case prepares them for what happens next: a second policeman dies . . . and then another . . . The Metropolitan Police struggle to carry out their usual duties, but no one knows where or how this cop killer will strike again. While London disintegrates into lawlessness Maeve’s world starts to fall apart too. For if the police can’t keep themselves safe, how can they protect anyone else? 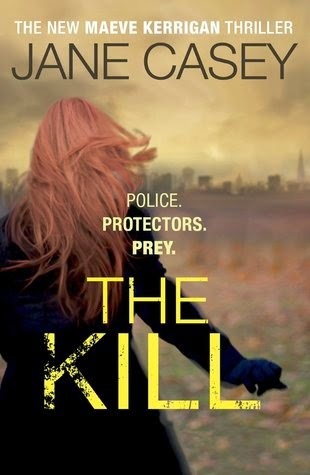 When DC Maeve Kerrigan and her fellow detectives are recalled from a colleague’s wedding to investigate the shooting of a police officer, they have little idea that this would be start of a killing campaign against the police. What follows is a tightly plotted story with twists and turns and with excellent characterisation. There are many different strands to the plot, some of which began life previously in the series. I don’t want to give away any spoilers so I’m not going to go into detail. I’m out of sync with this series, having read an earlier book and now this one and although you can enjoy this as a standalone, to get the best out of it it is clear that the series needs to be read in order. The scenes with the sometimes obnoxiously sexist DI Josh Derwent and the stubborn and independent Maeve Kerrigan were one of the highlights for me and I hope their working relationship continues. Although this could be described as a `police procedural’ it is more character based than many others in this genre which sets it apart. I did feel that the story started to flag a little in the middle but this didn’t spoil the overall enjoyment and I now look forward to catching up with the rest of the series before the next book. I received my advance reading copy from the Amazon Vine review programme. Twice shortlisted for the Irish Crime Novel of the Year Award as well as the Mary Higgins Clark Award, Jane has been recently longlisted for the CWA Dagger in the Library Award. Sharon Bolton is fast becoming one of my favourite crime writers. The Lacy Flint series goes from strength to strength with each story becoming darker and the tension sometimes unbearable. In particular, one of the things I love about this author is her ability to set the scene and describe it so perfectly that you can visualise yourself as a bystander. Part of this story involves the traversing of tunnels and drains and it feels so realistically claustrophobic. Not for the first time in this series the River Thames features heavily and provides the perfect backdrop to the story. Not only has Lacey has moved onto a houseboat on the Thames but she has given up her previous role with the Met police and joined the Marine Unit intending to have a quieter life. However someone has other plans for Lacey and soon she finds herself in the middle of a murder investigation and yet again facing danger. The first corpse surfaces whilst Lacey is wild swimming in the Thames – her new morning ritual and not to be recommended! It appears that someone knows her routine and she soon realises that the body was deliberately left for her to find. She finds herself caught up in a story involving missing women and people trafficking and when further bodies are found she is sure that the same killer is responsible, however she has a battle on her hands to persuade her superiors and once again Lacey, regarded as something of a loose cannon, has to prove her case. Lacey Flint has to be one of the most complex fictional detectives I have come across. She still remains an enigma but in this outing, the layers are being very slowly peeled away and we learn just a little more about her past. Her on/off relationship with fellow detective Mark Joesbury is ongoing, however he is currently working undercover and having to face problems of his own. In this story, Lacey joins forces with her former boss Dana Tulloch and the two women have to put aside their differences and pull together to find a killer. Dana’s personal life with her partner Helen feature heavily in this story which for me made her seem a little more human. There were parts of the book that made me squirm – particularly the Litten crabs – urrgh those crabs…and then the rats! There are some sinister but very interesting characters featured and at one stage I thought I had the killer sussed but yet again, I was wrong! 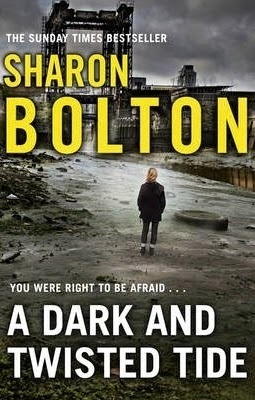 This is another brilliant dark and perfectly plotted twisty read from Sharon Bolton and definitely one I would recommend. My thanks to Alison Barrow of Transworld for the copy to review. 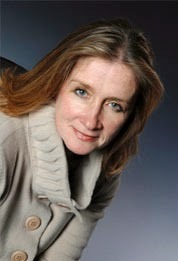 Sharon Bolton (previously S. J. Bolton) is the author of six critically acclaimed novels. This is her seventh novel and features the popular DC Lacey Flint and DI Mark Joesbury. She has been shortlisted for the CWA Gold Dagger for Crime Novel of the Year, the Theakstons Old Peculier Crime Novel of the Year and the CWA Dagger in the Library. Best friends tell you everything; about their kitchen renovation; about their little girl’s schooling. How one of them is leaving the other for a younger model. Best friends don’t tell lies. They don’t take up residence on your couch for weeks. They don’t call lawyers. They don’t make you choose sides. Best friends don’t keep secrets about their past. They don’t put you in danger. Best friends don’t always stay best friends. Dan and Sasha, Josh and Hannah are two happily married couples and best friends – or so they thought. When Dan announces that he has met someone else and is leaving Sasha after 8 years of marriage, Josh and Hannah are left reeling. They have always been such close friends; they holiday together, chill out together, their young daughters September and Lily play together – in fact they are closer than family – or so they think! Tamar Cohen has written a powerful and compelling story of how the breakdown of a marriage affects others. Josh and Hannah are determined not to take sides but when the situation between the warring couple becomes increasingly acrimonious and toxic, they find it impossible to stay impartial. With both Dan and Sasha fighting a war and making allegations, including that of violence against the other, who would you believe? Despite their pledge to remain neutral, the split affects the dynamics of Josh and Hannah’s marriage and cracks start to appear in their own relationship. They begin to be suspicious of each other and both keep secrets – will they end up in the same situation as Dan and Sasha? There were many times when I wanted to bang all their heads together, especially Hannah for being such a wuss and also, to some extent, Josh. Sasha was Hannah’s only real friend and definitely the more dominant personality. Hannah’s default position seemed to be that of feeling guilty and constantly apologising, even when Sasha’s behaviour began to spiral dangerously out of control. I just wanted Hannah to stand up to her and tell her where to go. Josh kept secrets from Hannah – important things which he really should have told her but his excuse was that the timing was never right. Dan initially lived in a world of delusion, thinking that Sasha was going to bow out gracefully and let him start a new life with his younger lover. However Sasha was not going to make things so easy for him and her behaviour becomes increasingly unstable and erratic. Their young daughter September (who I initially had down as a spoilt brat) is caught in the middle and I ended up feeling quite sorry for her. Interspersed throughout the story by way of short chapters, is the voice of a young girl, Lucie, who is clearly a very unhappy person. Her real identity and her relevance to the story kept me wondering and although at one stage I thought I had this sussed, I was wrong. Her sinister voice adds to the suspense and fear that something really bad has already happened or is about to. Cleverly structured, with excellent characterisations, this is a story that will make you question how you would react in this situation – it is so scarily realistic. Each character is flawed and appears unreliable and I was constantly changing my allegiance and sympathies. Add in to the mix the ever constant fear that worse may be yet to come and you have the ingredients for a fabulously dark and chilling read. The story finishes with a wonderful twisty revelation which I certainly didn’t see coming. This was a top read for me and well deserved a 5* rating. My thanks to Netgalley and the publisher for the digital copy to review. Tamar Cohen is a freelance journalist who has written for countless publications including The Times, The Telegraph, The Guardian, Marie Claire and Cosmopolitan. A late starter to fiction (and to other things besides) she has written four novels – The Mistress’s Revenge, The War of the Wives, and Someone Else’s Wedding, all published by Doubleday. 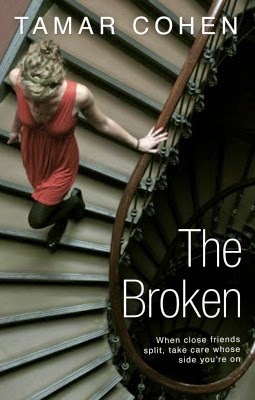 The Broken is her fourth novel. She is a Writer in Residence at Kingston University and lives in North London with her partner and three (nearly) grown children, plus one very badly behaved dog. It is 1901. Queen Victoria is dead; a new era has begun. And on a cold April morning a young girl stands uncertainly on Liverpool Docks ready to board an emigrant ship that will take her to America and an unknown future. Michael, Luke, and Meg are amongst her fellow travellers, with the common bond that only determination and self-belief will sustain them in their new lives. But she discovers that she needs more than wealth and security to make her happy; when the past returns, she makes another choice which changes her life. Then, as the horror of World War One in Europe threatens to engulf America, Clara learns that personal lives cannot be lived apart from public events, and finds that the people she has loved, and who love her, are not always what they seem. A Woman’s Choice is a compelling saga of friendship, love and ambition. We first meet Clara Foley in 1901, when she is 12 years old and boarding a ship at Liverpool, with her mother Jenny to start a new life in America. Her mother has become very fragile following the death of her husband and Clara finds herself increasingly having to make decisions for both of them. Clara has a very old head on young shoulders and it is this strength of character that will sustain her for the future, where, unbeknown to her at the time, some of her fellow passengers will have a huge impact on her future life in America. Even at a very young age Clara is determined to make something of her life and give herself and her mother a better standard of living. She may have to start off in the sweatshops of early twentieth century New York but has no intention of staying there. Using every ounce of determination and talent, she attempts to forge a career for herself in musical theatre and make a better life. 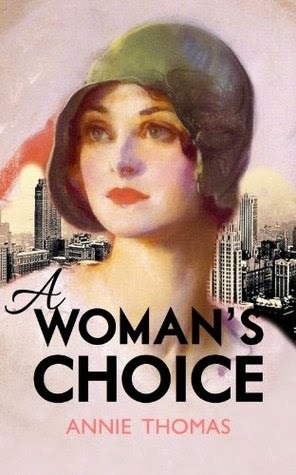 Aside from the character of Clara, what I loved about this book was the depth and detail of description – from the clothing sweatshops where workers were at the mercy of ruthless bosses and the poorest parts of the city where people struggled to survive to the glamorous parties of the rich and famous and the prejudices and tragedy arising from America’s involvement in WW1. We follow Clara through good times and bad – and all the time I was rooting for her to find happiness and have the life that she dreamt of. 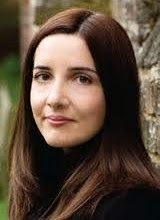 There are some great characters that come into Clara’s life throughout the book – most I loved and one or two I didn’t quite take to; from the brash but kind Bertha Ramsey on the ship to America, cheeky young Irishman Michael O’Halloran and the ambitious Luke Rutherford and, later on, her devoted friend Noreen and the loud but loyal Margo. Whether likeable or not, the characters are all so well written and believable. Clara, of course, is the star of the story. She may have had a rough start in life but her father taught her well and she remains true to those important values of basic goodness and integrity. There were times when I felt she may have been a little too perfect, but then we see her weaknesses and vulnerabilities and her sadness at the choices she has to make. This is a beautifully written historical saga that you can immerse yourself in and I was hooked from the first page. It is an excellent debut novel and I can highly recommend it. I certainly look forward to reading more by Annie Thomas. My thanks to the author for providing an e-book for review. 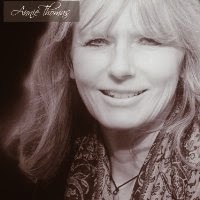 Annie Thomas lives in rural England, in a 19thc converted pub with her husband and son. She studied English and History at University, combining her love of reading with the broad canvas of public events and the human stories of the people who lived through them. Log on during your lunch hour for the sixth of ten monthly shows where author Alexandra Heminsley is joined by Jessie Burton and Jonathan Harvey who will be talking about their new books and we’ll be talking all things summer reads with industry insiders. In episode six of BOOK BREAK, anchored by author Alexandra Heminsley (Running Like a Girl), we are joined by Jessie Burton, an actress and debut novelist and Jonathan Harvey, the creator of Gimme Gimme Gimme, one of the star writers on Coronation Street and already an award-winning novelist. Jonathan Harvey’s The Girl Who Just Appeared is a poignant, funny read which follows Holly (who was adopted as an infant) in the present day and Darren (who is negotiating life with his errant mother and the younger brother he is bringing up) in 1981. Flitting between the present and the past we gradually discover how Darren and Holly’s lives become intertwined. Jessie Burton’s debut, The Miniaturist, is a story of love and obsession, betrayal and retribution, appearance and truth set in 1686 in the home of the illustrious merchant trader Johannes Brandt, told through the eyes of his new bride Nella. We’ll also hear from Ellen Feldman in our writer’s room segment where we’ll delve into her writing rituals. Finishing off being transported to an industry party, we’ll hear from publishing insiders on their recommendations for summer reading- from those already on the shelves to books that haven’t even been published yet. Follow #bookbreak on Twitter, subscribe to the Pan Macmillan’s YouTube channel or watch the broadcast right here at 12:30pm on Friday 4th July.